Catherine the Great is a perfect role, but she had many lovers. How in the hell will Streep show it in a movie? That's assuming a film would cover the span of her entire life. That would be a very tall task and Meryl would only be a supporting role as she wouldn't be able to play Catherine in her 20-40's. However, if they used the John Paul Jones story as I suggested above, Catherine's male favorite around that time was likely the young Platon Zubov. How cool would it be to see Meryl opposite a 20-something love interest while in her 60's?! Definitely what I'm daydreaming about, now you're talking! Don't forget Catherine's secret husband, Prince Potemkin. How could I forget? He was around until 1791, and although he was no longer Catherine's lover in the later years, he was still closely connected with her, helped her find other lovers and was said to be jealous of John Paul Jones. I think we're rounding out the supporting cast pretty nicely! I am envisioning that the movie starts with Catherine in her final hours, being given the last rites by the Orthodox church. We have to see flashes of her miserable marriage to Peter III, and her relationship with Paul, the heir. Yes to all of that, except no voiceovers. I wonder if this recipe might be a little too "Iron Lady"? But if it's a few years out yet, Hollywood memories are fickle. It would be nice to see Meryl talking in Russian, which is a very difficult language to master (trust me, I went through this). Another good thing to focus on is Catherine's roles in the Russo-Turkish wars and the Partition of Poland. Suggestion for another dream role: Lady Macbeth, period. 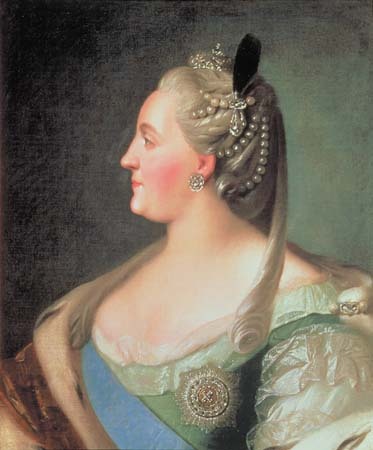 The second Russo-Turkish wars were also toward the end of her reign and her interactions with John Paul Jones. This. Must. Happen. Yes. This must definitely happen, Meryl Streep as Catherine II the Great, Empress and Autocrat of all Russias.